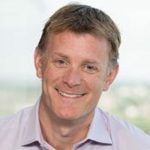 This blog post was guest written by Christian Bigsby, Vice President Workplace Resources, Cisco. 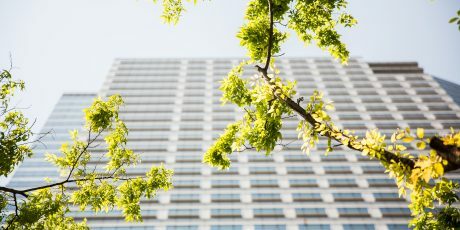 In light of the Global Climate Action Summit taking place this week in San Francisco, where leaders and individuals are coming together to take ambition to the next level on climate change, I wanted to spend some time reiterating Cisco’s commitment to solving climate change and embedding sustainability into our global real estate operations. to reduce Cisco’s Scope 1 and Scope 2 GHG emissions by 60% by FY22 compared to FY07 baseline. I am pleased to share that we have already made great progress towards meeting these new goals, but you’ll need to wait until our FY18 Corporate Social Responsibility Report comes out in December for a full status update on our progress. For now, I’ll share some highlights from the past year on how we have been working to reduce our GHG emissions while increasing the efficiency of our real estate operations and enhancing the work experience for our employees. 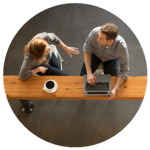 We continue to optimize our real estate portfolio through Cisco Connected Workplace. This flexible, activity-based solution substantially reduces space and land requirements for our operations as well as their associated environmental impacts. 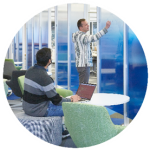 In FY18, we completed a multi-year, multi-million dollar renovation of our headquarters in San Jose that reduced our square footage by 30% while providing a better workplace experience for our employees. We also continued our EnergyOps program in FY18 to increase the energy efficiency of our existing real estate operations. We implemented 144 projects in FY18, including dozens of LED lighting retrofits, airflow optimization projects in our labs, and chiller optimization projects. 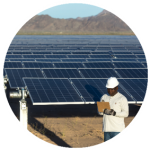 These projects reduce our energy use and GHG emissions while contributing to Cisco’s bottom line. Next, we purchased even more renewable energy in FY18. Over the last seven years, we installed nearly 3 megawatts of on-site solar at multiple global locations, but our biggest opportunity continues to be offsite renewable energy. In April 2018, we completed two offsite solar contracts that are providing approximately 40% of our Bangalore (India) campus’ electricity needs, avoiding 70,000 metric tonnes of GHG emissions per year, or the equivalent of planting 82,000 acres of forests. Finally, we continue to engage our internal and external stakeholders on our sustainability strategy. Our engagements include hosting sustainability events and publishing information on our internal and external channels, partnering with Cisco Green Teams to increase sustainable options for our employees around the world; participating in annual sustainability surveys like CDP and DJSI, publishing our CSR report annually, and frequently sharing information with our customers and partners about our sustainability program. Moving forward, we are expanding our focus beyond GHG emissions and making changes to reduce our water usage and waste generation throughout our global operations. As a first step, we have developed a comprehensive green strategy for our campus in Research Triangle Park (North Carolina) to achieve 100% renewable energy and water neutrality by FY19 and zero waste by FY20. We will use this campus initiative and the lessons we learn as a launching pad to create similar strategies across our global operations in the future. 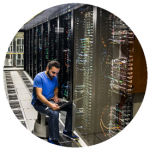 My focus in today’s blog was on Cisco’s internal operations, however, Cisco’s collective sustainability efforts span our operations, our supply chain, our products, and our solutions. Stay tuned throughout this week for more on how Cisco’s sustainability strategy has enabled us to create products and solutions that address the needs of our customers while minimizing our impacts on the planet.